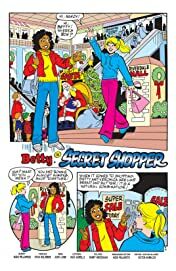 "The Big Battle": Betty and her friends compare their energy-conserving dates-- and how their boyfriends did or didn't comply! 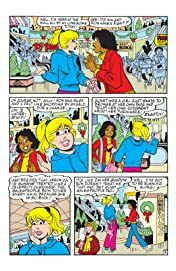 "Down Memory Lane": Thumbing through her diary takes Betty back to Christmas when she was 9 years old. 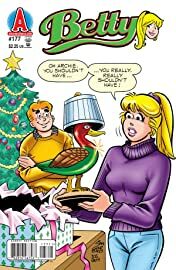 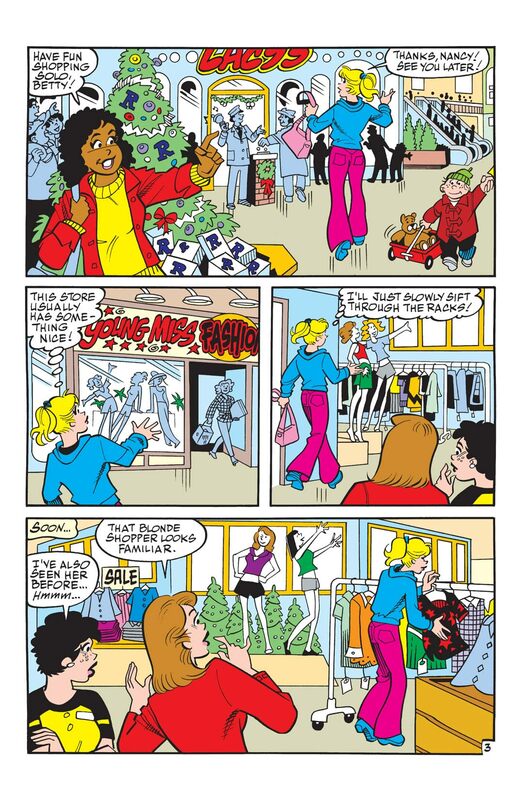 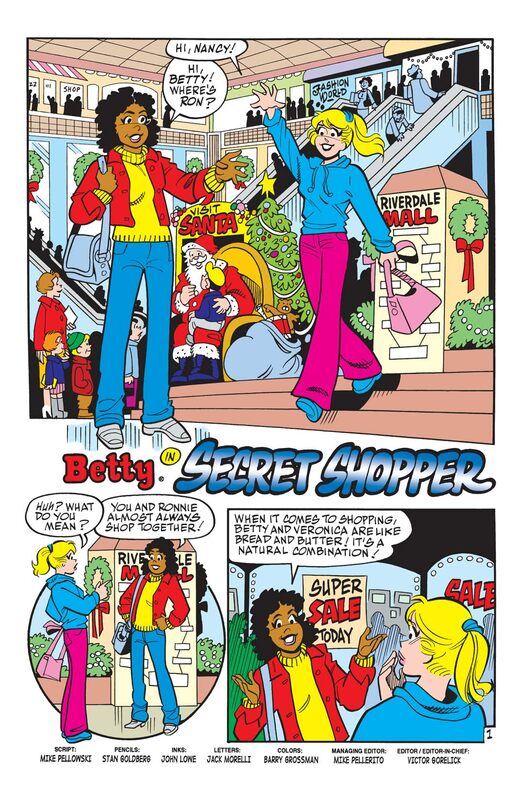 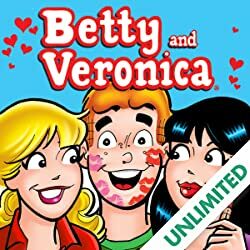 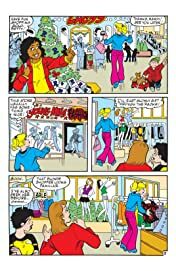 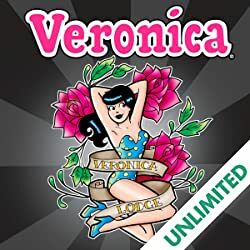 "Secret Shopper": Tired of all the attention Veronica draws when they go shopping together, Betty decides to make a solo shopping trip-- and has all the sales clerks competing to sell something to "Veronica's friend!" 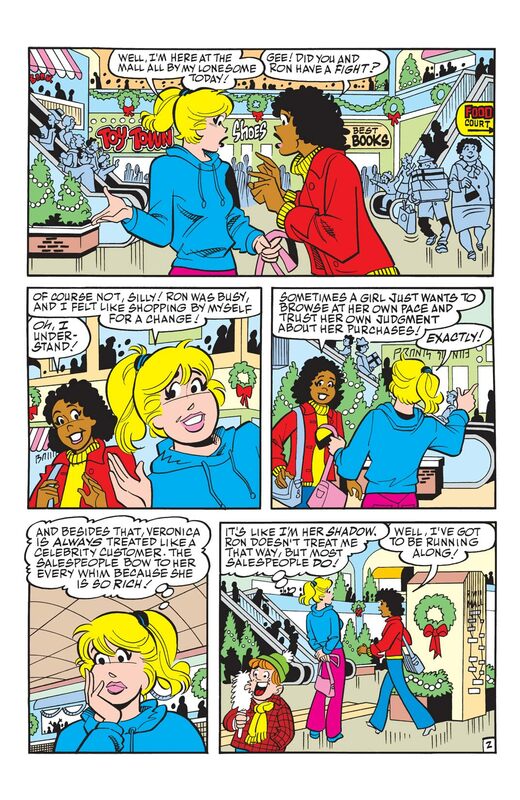 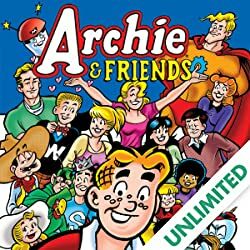 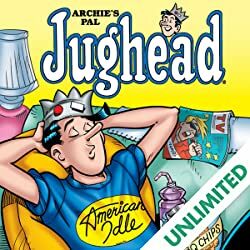 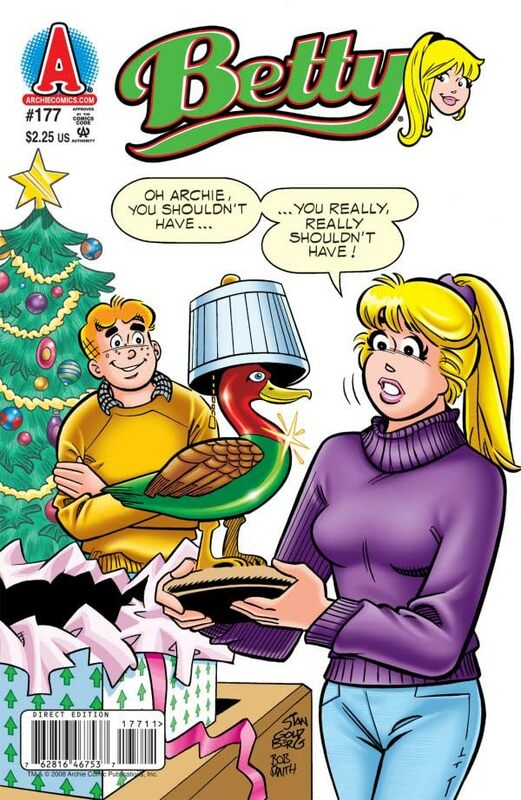 "The Dilemma": Can Betty find a way to get her boyfriends Archie and Adam to see eye-to-eye?